* Item is available in white and ivory. 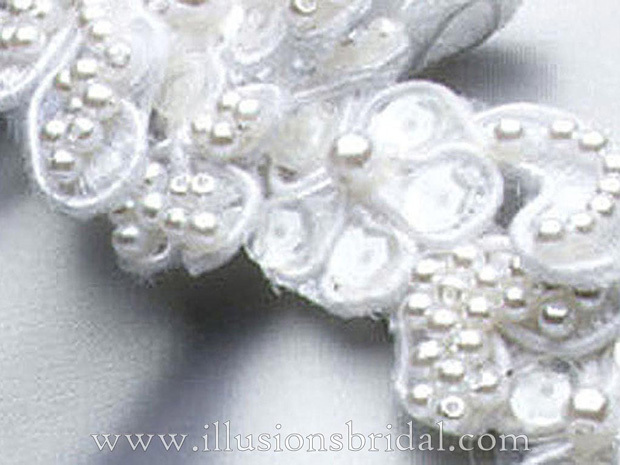 * Item measurement is 27"x1/2"
* Veil shown is a 30"x36" corded edge veil. 27" x 0.5" x 0.5"